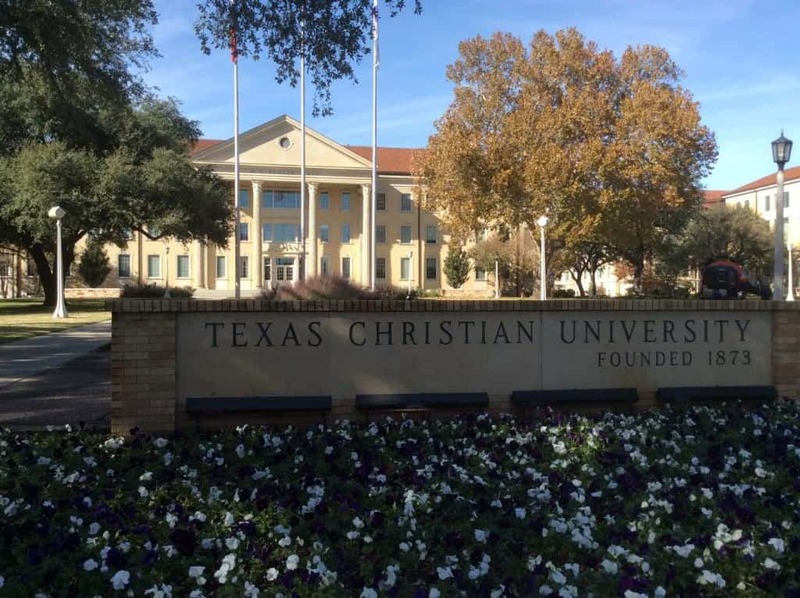 TCU is proudly a Christian school, and while the wide majority of the 9,000 undergraduate students are Christian, many practicing, TCU is welcoming to all faiths, and there are 60+ religions represented on campus. As with many institutions with religious affiliation, one religion course is required – only one, and there are many options. Chapel attendance is not required. TCU offers 130 areas of study in 7 undergraduate colleges, including Business, Fine Arts, the Honors College, Science & Engineering, Liberal Arts, and Communications (the Bob Schieffer School of Communication is named for the TCU alum who had a 50+ year journalism career at CBS). TCU’s core curriculum focuses on a liberal arts & sciences foundation, and students have the ability to double major, even in two different colleges, although this is difficult with nursing. There are specific career advisors for each academic college, and study abroad is a very active program. Sports and school spirit are huge here; TCU has Division 1 sports, playing in the Big 12. All sporting events are free for students! TCU students are also heavily involved in Greek life; nearly half of all students participate. However, there’s so much more to do; aside from the 240+ on-campus clubs and activities, Fort Worth is the 16th largest city in the US and, with Dallas about 45 minutes away, students can take advantage of being in the 4th largest metropolitan area in the country, with great internship and job opportunities. 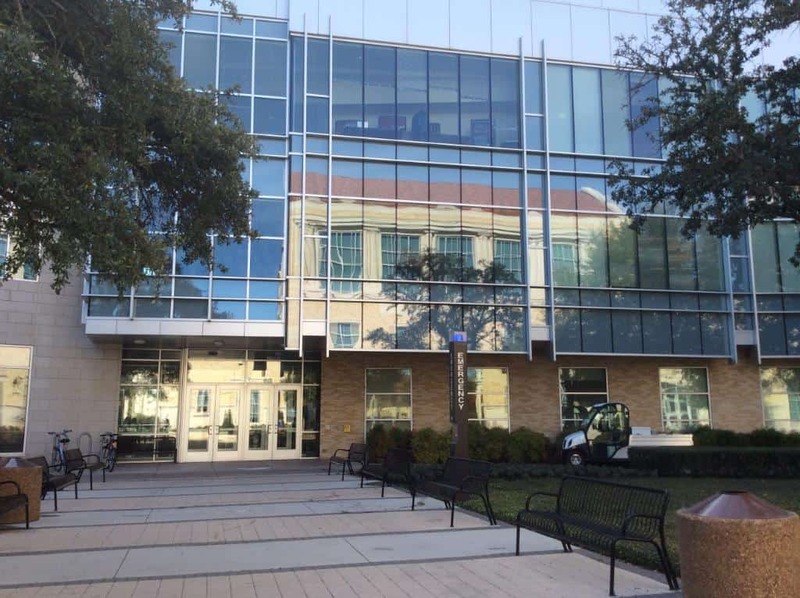 A more traditional building is reflected in the mirrors of the business building at TCU. TCU is one of those schools where you have to visit to get the feel. If you own cowboy boots and listen to country music, you will love it here! But even if you don’t, the campus is very friendly – even during finals week, everyone said hello to our tour guide as we walked through campus. Students are very close to professors here – it’s typical that you’ll be invited over to a professor’s house for dinner at some point. Frog Camp is TCU’s welcome orientation for freshmen. It’s not required but it’s highly recommended as a great way to make friends quickly. TCU has separate Greek housing and an honors dorm; all first-year students live on campus, and about 30% of upperclass students live on campus. The campus is suburban and has seen a good amount of recent construction, so many of the facilities are on the newer side. TCU is often mentioned in the same group as its Dallas cousin, SMU, but the two campuses feel very different. It’s worth checking out both! 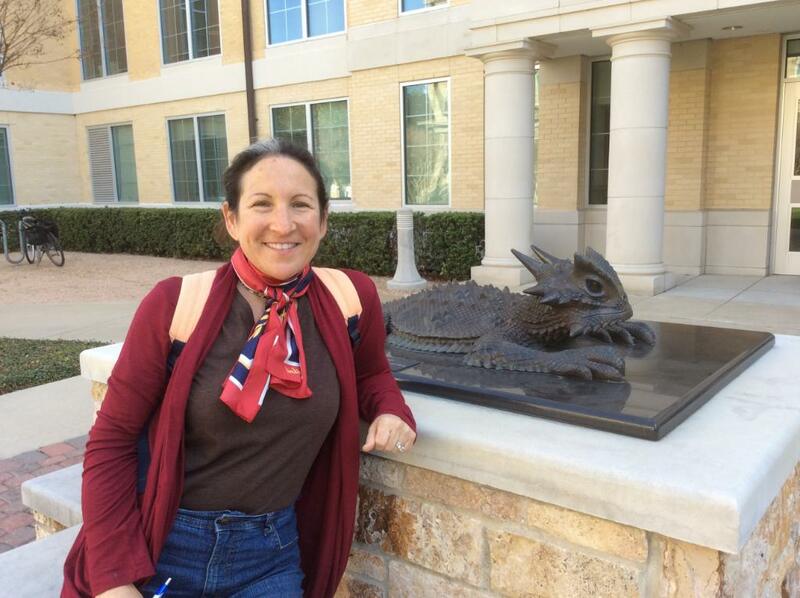 Evelyn visited TCU in December, 2017. You can scroll through all of her photos below.